The communists threatened to riot, loot, assault people at the parade. The festival people decided to cancel the entire weekend of activities, which was going to be this weekend due to the threats of violence by the leftist group. The Antifa group promised to rush the parade and drag away the Republicans. The Oregon Republican Party released this statement after the festival was cancelled. 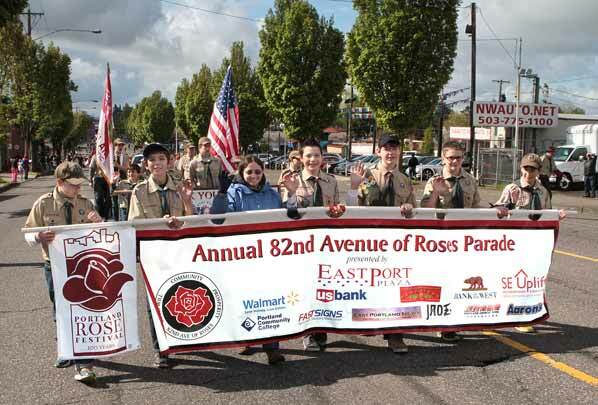 The organizers of the annual Avenue of Roses Parade have received an e-mail threat from “[email protected]” warning that unless the parade organizers revoke the registration of the Multnomah County Republican Party in this year’s parade (set for this Saturday, April 29th), the group will send “two hundred or more people rush into the parade into the middle and drag and push those people out”. The group brags that “You have seen how much power we have downtown and that the police cannot stop us”. The Week blamed the cancellation on left-wing and right wing militias… Unreal. More… Here is the threat from Antifa before the parade was cancelled.